Crisp Menthol will blast your tastebuds with an ultra refreshing storm of super cool mint and extra cold menthol. 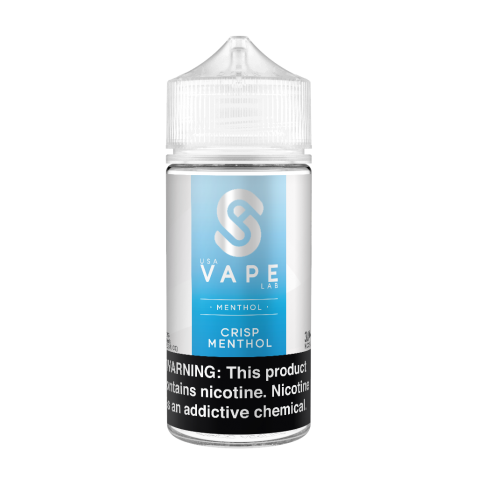 Perfect for menthol lovers by itself and excellent with other flavors, Crisp Menthol will instantly become your new menthol go to. GRIMM CREATIONS - VANILLA CUST..
SNOZZ - CREME - 60ML by USA VA..
USA VAPE LAB COFFEE - MACCHIAT..